Wexford Town's top live music hostelry, The Sky & The Ground, plays host to Loch Garman Comhaltas's brand new Summer Seisiún. Seisiún, which runs for six weeks from July 3rd, is one of a vast network of Comhaltas sessions taking place around Ireland over the Summer. 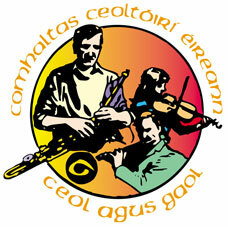 The focus is on showcasing the very best of local talent, be it traditional music / singing, storytelling or Irish dancing. Each week a number of special guests join the house band. Nor is this your typical session in that it will have some semblance of a structure to it. The Fear an Tí will see to that! Likely duration is 70 minutes. After that it's a free for all! A fiver donation is requested at the door to cover costs (thirsty musicians!). Beidh neart siamsaíocht thráidisiúnta againn - ceol, amhránaíocht, rince is scéalaíocht. Bígí línn!